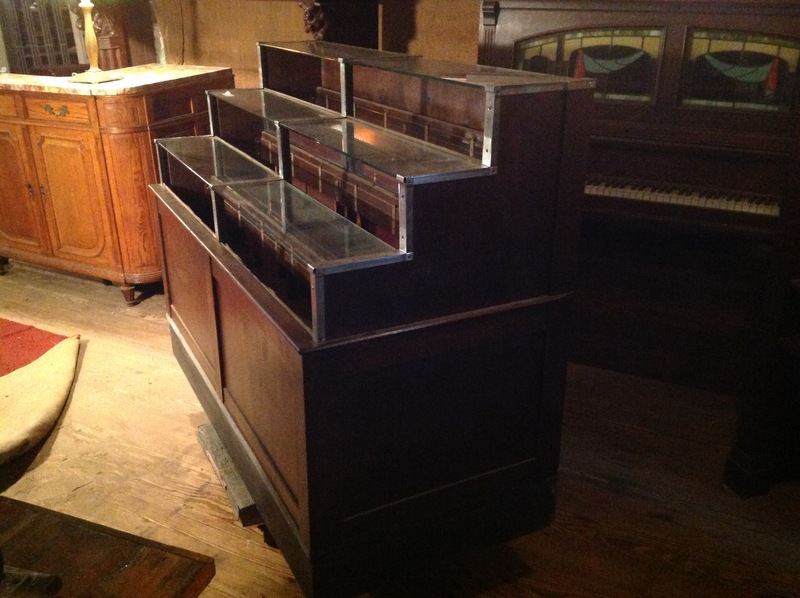 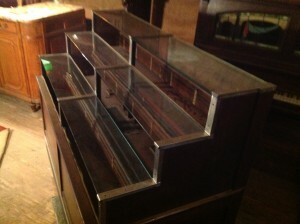 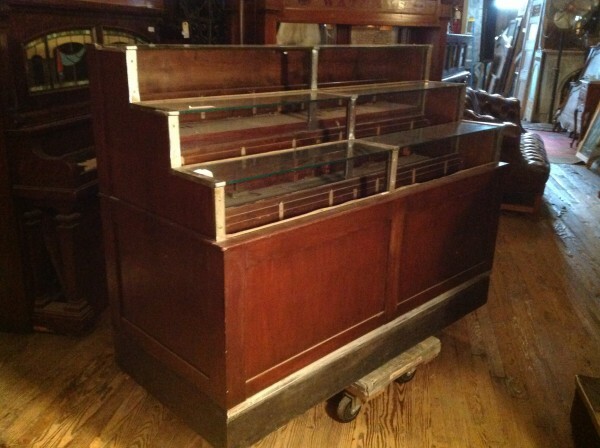 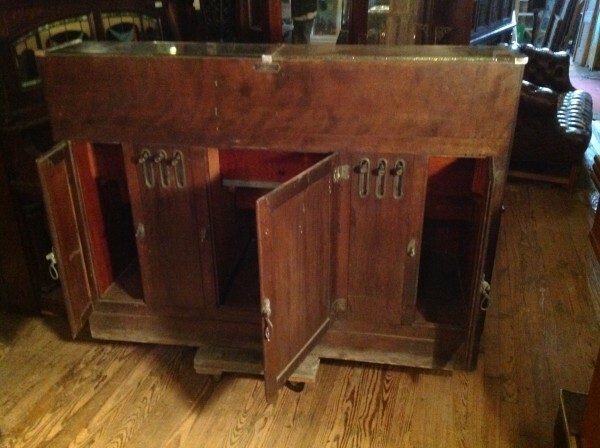 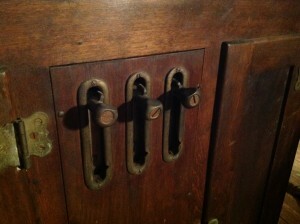 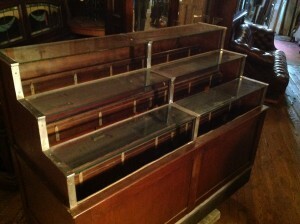 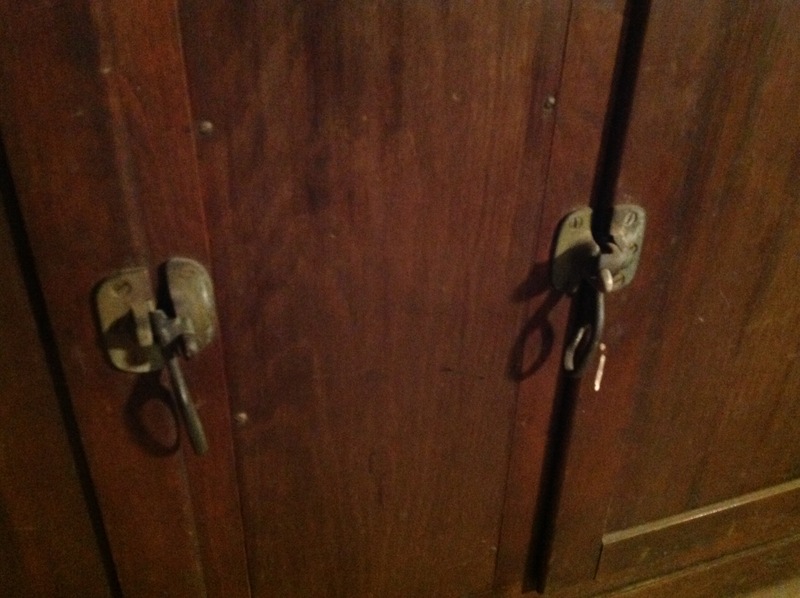 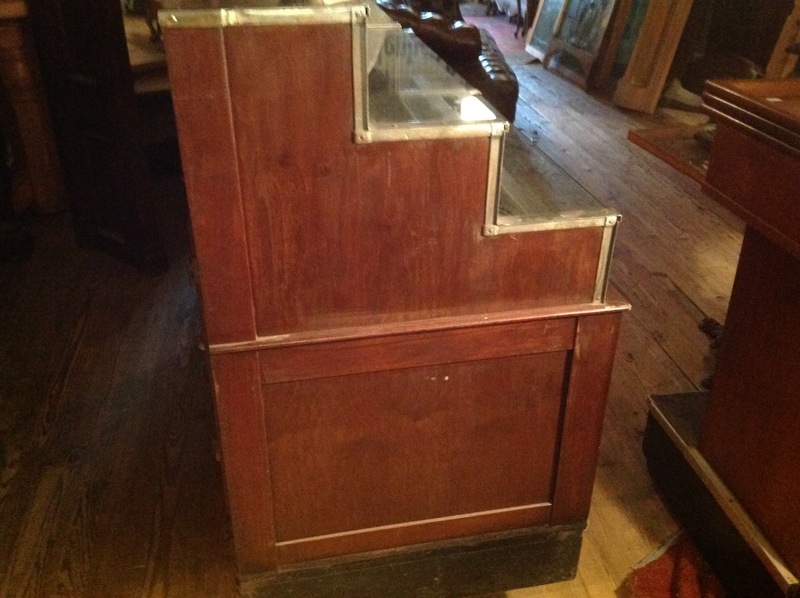 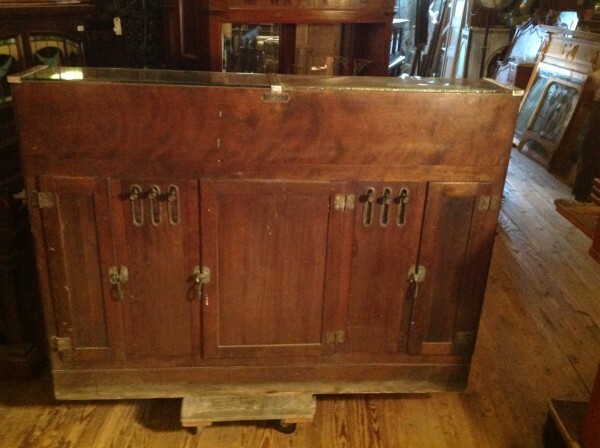 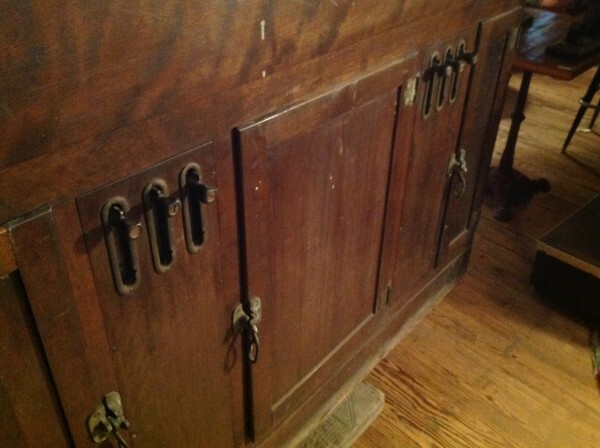 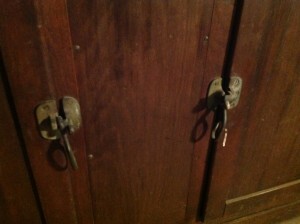 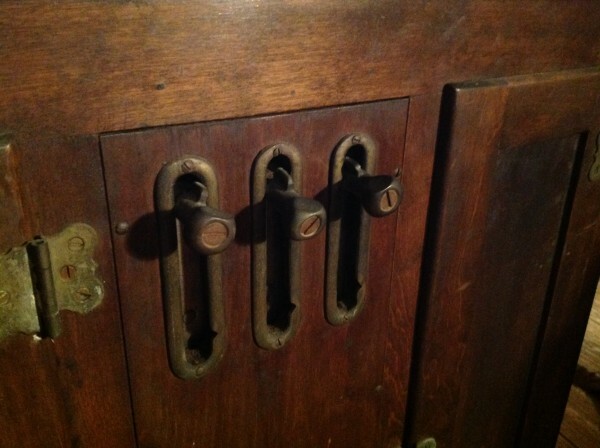 Most unusual rare antique 1920’s mechanical cigar store display case in as found condition. 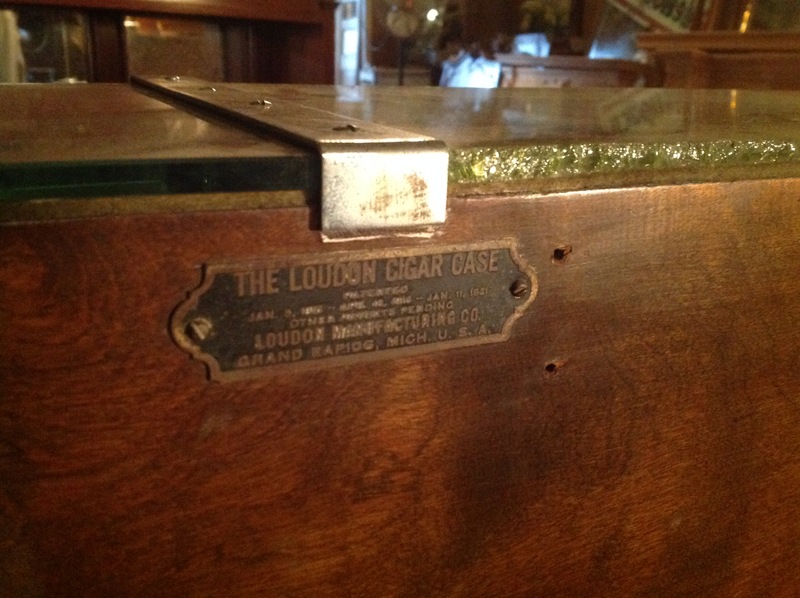 Made by the Loundon Manufacuring Company, Grand Rapids, MI from 1920-1927. 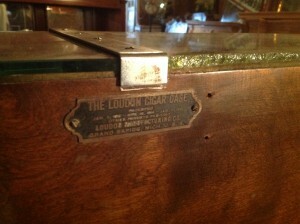 Most unusual as the proprietor would actuate the brass handles behind the display lowering the glass so customers could choose the desired cigar. 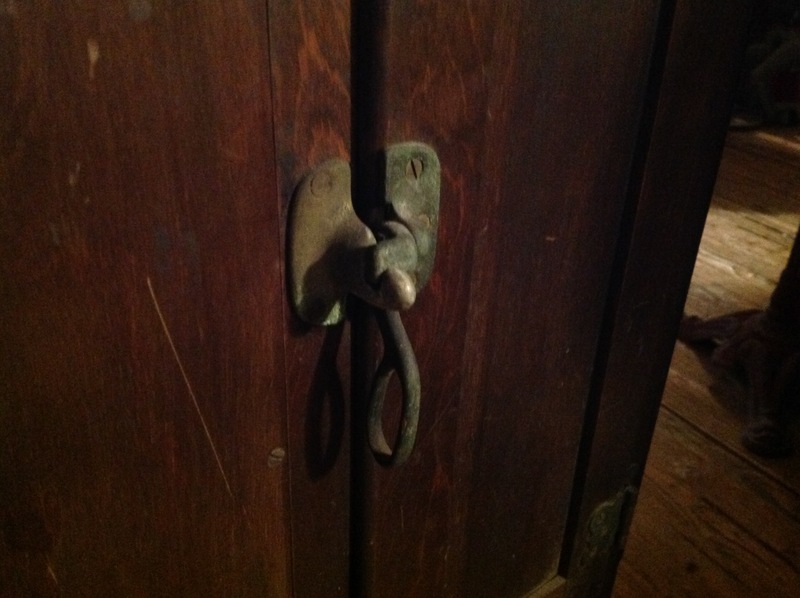 Very nice condition for its age needing only polishing to bring out the wood and metal beauty. Would look fantastic in any tobacco shop……..